3 Major Events are centered this weekend with 2 in Kentucky and one in Alabama. The Lucas Oil Divisional will be in Bowling Green, KY. 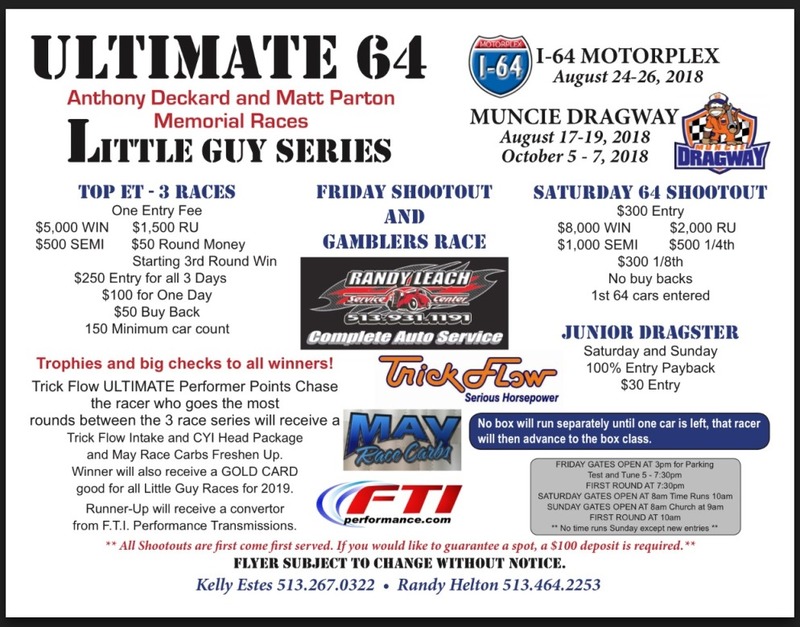 The Ultimate 64 guys will take their Little Guys Series to I64 in Owingsville, KY and Huntsville Dragway's Fall Frenzy will bring to days of $10k Top Bulb action to Alabama.